Second times this team meet in last match, if both team are win, there would be a epic game. But in this game also a epic game, good time for England takes this opportunity to win this game. Belgium and England will meet for the second time this World Cup (WC) as they compete for third place in Saint Petersburg in the hope of finishing the tournament on a high. Both sides suffered heartbreak in the semi-finals, with Belgium losing 1-0 to France, and England falling to an extra-time winner by Croatia (2-1). 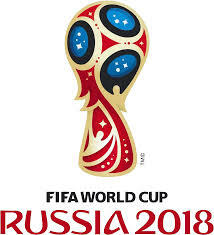 By reaching the semi-finals – for the first time since 1986 – the Red Devils (BEL) have somewhat exceeded expectations this WC, and coming into this game have a record in Russia of: W5, L1, whilst scoring an impressive 14 goals and conceding just six. England have also had a surprisingly good run this WC – their best for 28 years. Their record of: W4, L2 (including extra-time and a penalty shootout), with 12 goals scored and six conceded, has been a decent return from such a young and inexperienced squad. Coincidentally, the Three Lions’ (ENG) only loss during 90 minutes was to Belgium (1-0) during the group stages. In their last seven matches (in all competitions), England have the better H2H record against Belgium (W3, D3, L1), but two of their last three WC matches against each other have gone to extra-time (1990 and 1954). Key battle: As long as they are not rested, England’s Harry Kane (six) and Belgium’s Romelu Lukaku(four) will both be looking to finish the WC with the much-coveted Golden Boot. Stat attack: The last four WC third-place play-off matches have ended with 3.0+ goals scored, including 4.0+ goals in three of those four. England have kept just one clean sheet from their six WC matches in Russia. Four of Belgium’s six WC matches in Russia have seen over 2.5 goals scored (total). The last two meetings between the sides have both finished 1-0 (one win each).